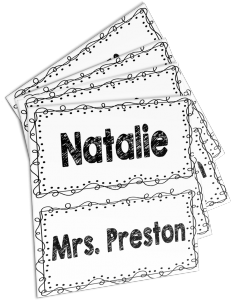 Classroom Freebies Too: Cute and Customizable Nametag Freebie! Cute and Customizable Nametag Freebie! Nametags have so many uses and can make organizing things just a little bit easier. Here is a template you can use to customize your own!